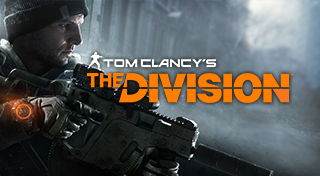 The Division has taken up most of my evenings with my friends and I am not sure how I feel about this one. It is a fun game, but I feel that the story isn't capturing me at all. All the side missions and encounters repeat itself a lot and only the main story missions are designed differently. I understand why this is, but it makes me feel more like I'm in a game versus a world, if that makes sense at all. At this point in time, I'm not sure if we will play together much after the story missions are completed, but we will just have to wait and see on this one. 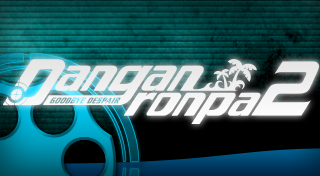 Danganronpa 2 is being slowly chipped away at. Again, this game isn't holding my attention as much as the first one due to me knowing what the formula is now. However, they did add new games and mini-games to it to keep it fresh and the game itself does reference things that happen in the first game and takes jabs at it like 'oh, it'd be silly to do it this way' when it was done in the previous game. 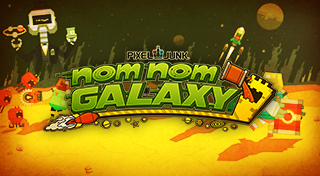 Nom Nom Galaxy, I thought I would enjoy this game since it is by Q Games and it was too big of a change for me that I just didn't enjoy it. I'm sure that there are people that enjoy having a game that throws a lot of systems and things for you to do and you have to management them appropriately, however I'm more of a player where I focus on one thing and try to do that well and the other things can just wait. Clash Royale, a mobile game from Supercell known for Clash of Clans. It is a moba-like game where you collect cards and you battle with other players PvP style. Due to the restrictions on the game, there seems to be little incentive to spend money since you are only enabling yourself to achieve things quicker, however, that doesn't mean that you actually do better. In the game, when you win, you get one chest, this chest takes anywhere from 3 hours to 24 hours to unlock. There are four slots to hold chests and once you have four chests, you won't get any more. So you are stuck there waiting for chests to unlock, so that you get new cards and you continue the grind. I play for a few minutes a day and just leave it alone, it is annoying since it is fun, however, I cannot play a lot at a time. Punch Club, a PC game that came to Android and I've been playing it on my phone. It is a boxing simulator where it takes a lot of influences from things like Rocky, Teenage Mutant Ninja Turtles, Mortal Kombat, Batman and other things. You start as a teenager who has a rough start in life (like Rocky) and you meet up with a trainer and you just start training yourself to be the best boxer you can be. You are able to train in three categories (strength, agility and stamina) and your skills and abilities are based on those. You will fight in legitimate fights in the league as well as possible underground fight clubs and you can also fall in love in order to make you train better. It all adds up to quite the fun game in my opinion. I haven't gotten to the end yet and there is no demo available, so you will just need to watch some videos to see if you like what you see. I am slowly getting to the point where I'm a bit bored since I am not thrown new scenarios anymore, but it was a fun game and I would have no problem recommending it if others are interested.